This is totally awesome and a massive thanks goes out to everyone for there support especially the Microsoft CRM Team for creating a product that is so amazing and enjoyable to work with. 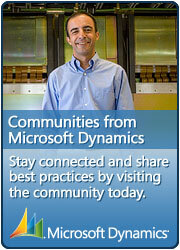 I’m looking forward to another exciting year in the Dynamics CRM world and I hope to see you all there…. This entry was posted in Information, MS CRM and tagged Bing'd, CRM, CRM 2011, Microsoft Dynamics CRM 2011, MSCRM, MSCRM 2011, MVP, Rhett Clinton on April 1, 2011 by Rhett Clinton MVP. awesome, you deserve it Sir. Way to go Rhett ! Congratulations! You are the rockstar! Thanks Andriy, you are a rockstar too! Did you really have to post that on April fools’ day? I did post it after 12noon, if that makes a difference.